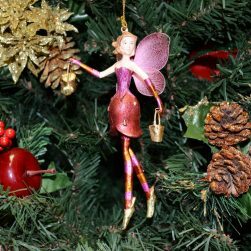 Hand made hanging angel Christmas ornaments – choice of colors available. 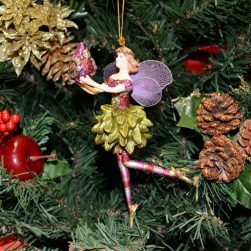 These beautifully made Christmas angel decorations complement any family Christmas tree. Each is hand painted during manufacture making it a unique Christmas decoration for any tree. 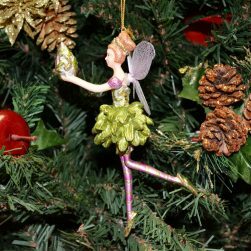 This beautiful angel Christmas ornament is carnation colored andi is a complement to every tree. This angel christmas ornament is hand made and hand painted. This ornament will look its best on any Christmas tree or holiday decoration. 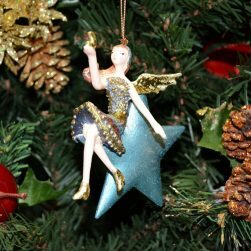 This beautiful blue angel Christmas ornament shows her atop a blue star and looking with grace toward the moon she is holding. This beautiful ornament is hand made and hand painted. A great addition to any Christmas tree or holiday decoration. This beautiful angel Christmas ornament shows her atop a gold star and looking with grace toward her outstretched hand in which she is holding the moon. This beautiful hand made and hand painted Christmas angel ornament decoration measures 6x3x3 (inches) and looks ready to celebrate Christmas in your home. 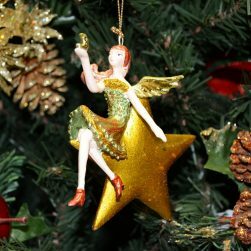 If you like angels then this ornament is a great addition to your seasonal decorations. 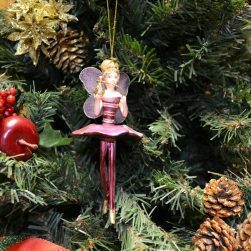 This beautiful lavender angel Christmas ornament pretty and delightfully made. Hand painted and hand made, delicate wings our angel is ready for the Christmas season. This beautiful angel Christmas ornament is oyster blush colored and is a complement to every tree.